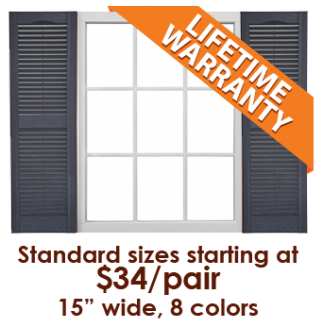 Long lasting, low maintenance vinyl is the most affordable shutter option. Homeowners choose vinyl because of its durability, easy upkeep and traditional wood-look. 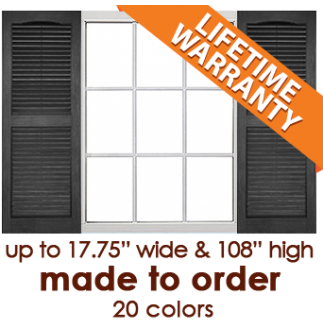 Legends vinyl shutters are available in stock and custom sizes and a variety of fade-resistant colors.